Romantic Comedies are my favourite genre of film. Anything from Notting Hill, to About Time, I love funny films with the element of romance thrown in. I was recently browsing the shelves of HMV and stumbled across What If?- I'd seen it advertised but never got around to watching it at the Cinema so was very excited to see what it was like. I became obsessed witht the film pretty much as soon as I watched it, once it had finished I wanted to watch it all over again, which I think is a pretty clear indicator that this film is all kinds of wonderful. Set in Toronto it tells the story of Wallace who meets Chantry at a party and knows straight away that they are destined to be together. He is upset when he discovers that she has a long term boyfriend and so instead decides to be friends with her instead. The film follows both characters as they both develop feelings for each other while still trying to insist that they are better off as friends. I thought this film was very reminiscent of 500 Days of Summer which is one of my favourite films of all time (I mean come on who didn't want to marry Joseph Gordon-Levitt after watching that film). It was very honest about relationships and the stuggles you have to go through to be with who you believe you are destined for. What I loved most about this film was the humour, it was very dry and sarcastic and the main protagonists were having banter with each other constantly throughout the film which I loved. It didn't feel forced or scripted at all which added to the honesty of this film. All in all I adored this film and it has definitely gone up there in my top 10 films of all time. 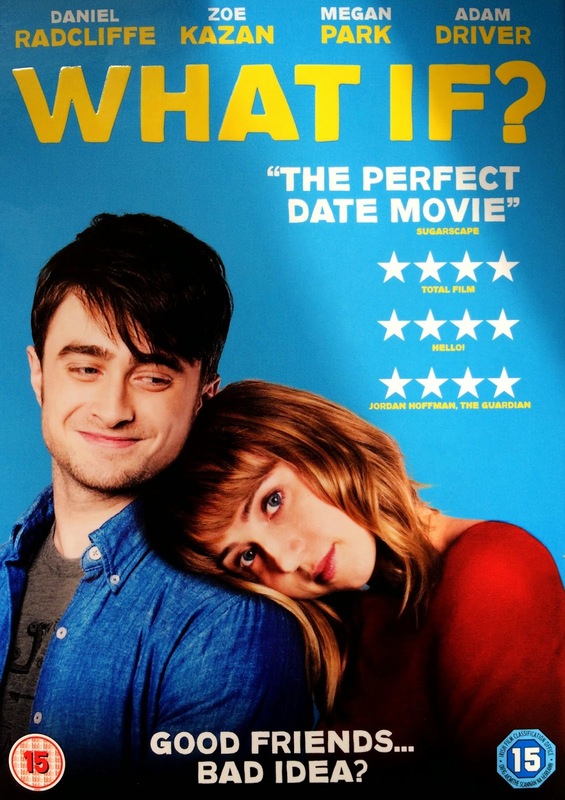 Have you watched What If?, if so what were your thoughts on it? Have you watched any other films that you've loved instantly recently, I'd love to hear your recommendations below! I have had probably the most stressful few months of my life. I'm in my final year of A Levels and while I love my courses, the three lots of coursework I had to do for every subject was a lot to deal with. Since January I've made a music video for media coursework and had to complete 3 3500 word essays. To say I've been stressed is an understatement. After multiple breakdown and crying sessions at school I've finally reached the end of my mountain of coursework. However whilst this term has been crazy, I have learned little things to make me feel a little less stressed so thought I'd share them with you- especially with exam season coming up! We all know that age old saying 'a problem shared is a problem halved'. Now I'm not one for talking about my feelings- I tend to bottle things up until the problem either goes away or I have a breakdown. I thought my coursework stresses were trival and not worth attention as everyone had to deal with coursework, however after telling my mum and friends how I was feeling I felt a lot better. Sometimes just offloading the stresses in your life to someone can make the world of difference- even if they can't help, they'll know how you're feeling and will want to support you. If I have something I'm worried about I tend to sit inside and stew over the problem until I go crazy. Getting outside is such a small thing that can make such a big difference. Whether it's walking your dog, going on a bike-ride or just sitting out in the sun. Removing yourself from the situation and taking some time alone to clear your head can really help. I find that treating yourself can be the perfect pick me up if you're feeling stressed. It can be anything from a Starbucks to a new book or new piece of make-up that you've been wanting for ages. Even taking an evening out to have a pamper evening with a bubble bath and face masks will help you to feel a little less stressed. Often when I'm stressed I need something to completly take my mind off the situation. My best remedy for this is watching loads of easy to watch shows that don't take much concentration. My favourites at the moment have been The Only Way is Essex and Keeping Up With The Kardashians. As well as getting outside- another great way to feel less stressed is to meet up with friends. There's nothing I love more than meeting up with my best girlfriends for a coffee and a gossip. What you're stressing about might seem like everything right now but sometimes the best thing to do is to take a step back and evaluate the situation. Is what you're worring about going to be a big deal in six months or a year from now? If not then try not to worry about it, worrying and stressing about things only makes the situation worse. These are the things that helped me get through my crazy coursework term. I hope some of these tips help you- is there anything you do that makes you feel less stressed? 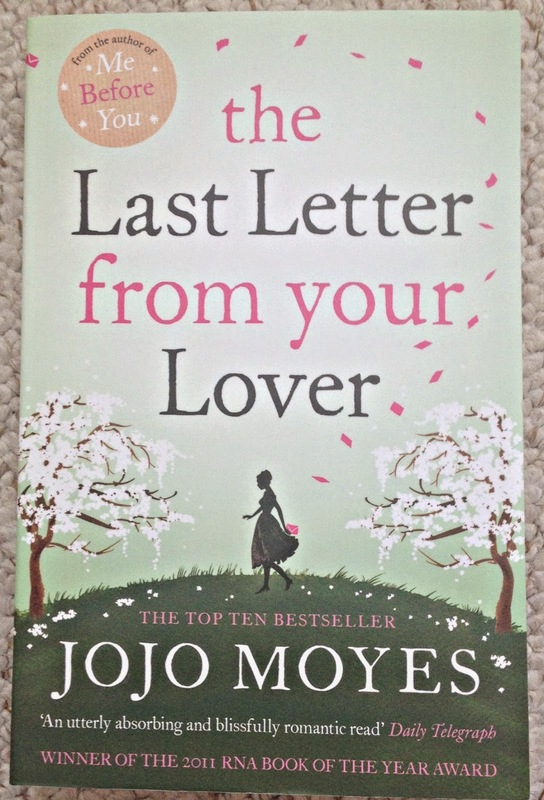 A few weeks ago I shared my latest book haul with you and most of my comments were asking me to review the books once I'd finished them, so without further ado here's my first book review for Jojo Moyes' The Last Letter from your Lover. 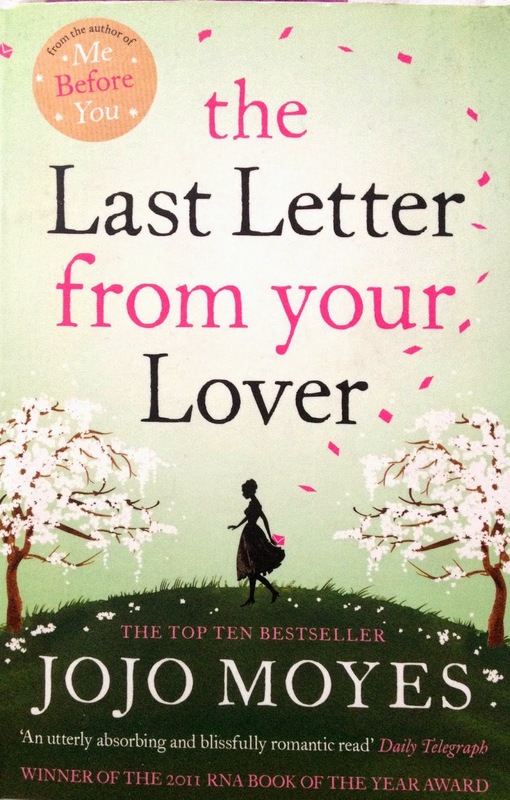 I am a huge fan of Jojo Moyes, her novel Me before You is my favourite book of all time, so I knew I was in safe hands when reading this book. The Last Letter from your Lover tells the story of two women, Jennifer and Ellie, who share something in common although their stories are set 40 years apart. Both Jennifer and Ellie are involved in secret love affairs- Jennifer is in love with a different man to whom she's married, whereas Ellie is in love with a married man. The book tells the story of both womens' love affairs and how their stories intertwine. The novel is set in three parts- the first two tell the story of Jennifer. Instantly we discover that Jennifer has been involved in a car accident and can't remember anything of her previous life. What I loved about Jennifers story was that, because she had lost her memory, you felt like you were finding out everything about her life with her. The narrative jumped between before and after her accident, and between different characters.Because of this I was never sure whether the other characters were telling the truth, or it was just Jennifer's bad memory, but the uncertainty lead to many shocking twists and turns throughout the novel and kept me gripped all the way through. Through the first two parts of the novel you find out about Jennifers love affair with Anthony, yet what I loved about this novel was that their story wasn't concluded by part 3 when the narrarative jumped to Ellie's story 40 years later, so you were still kept gripped as you read to find out what happened to them. During Ellie's part of the novel she is dealing with her own demons as she continues an affair with a married man, and desperatly tries to hold on to her job as a journalist. It's through her job that she finds the love letters sent between Jennifer and Anthony in the 1960s, and she spends the rest of the novel piecing together what happened to them, whilst still dealing with her own love story. Overall I loved this book and would definitely recommend it if you love reading love stories set over different time periods! 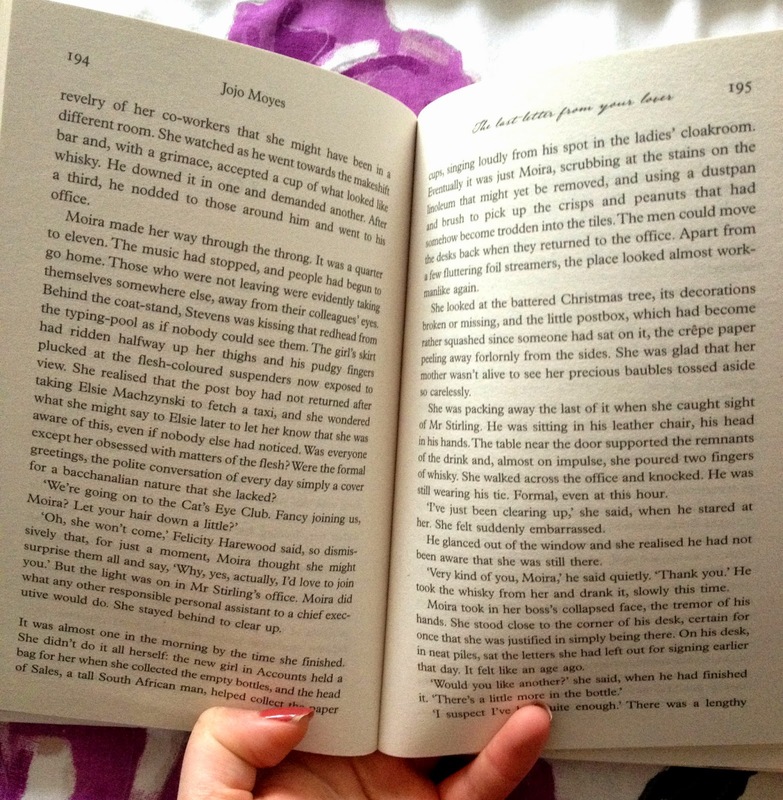 Have you been reading any great books recently? I've been wanting to buy a watch for a while now. There's something about a watch added to an outfit that makes someone look that little bit more sophisticated. After watching youtube and reading blogs for over 6 years I've been drawn to the Michael Kors watches that at least every fashion blogger owns. While I loved how classy the Michael Kors watches looked- I wasn't a huge fan of the chunky boyfriend style fit, and how expensive they were. I wasn't prepared to spend over £200 on my first watch! So I've put the Michael Kors watches out of my mind and on my *to buy wishlist*, yet after many months of searching I couldn't find a reasonably priced watch that I liked the look of. I've found that many cheaper watches aren't very good quality- whereas the more expensive watches just didn't have a style that I liked. That was until I found the Michael Kors Mini Lexington watch. 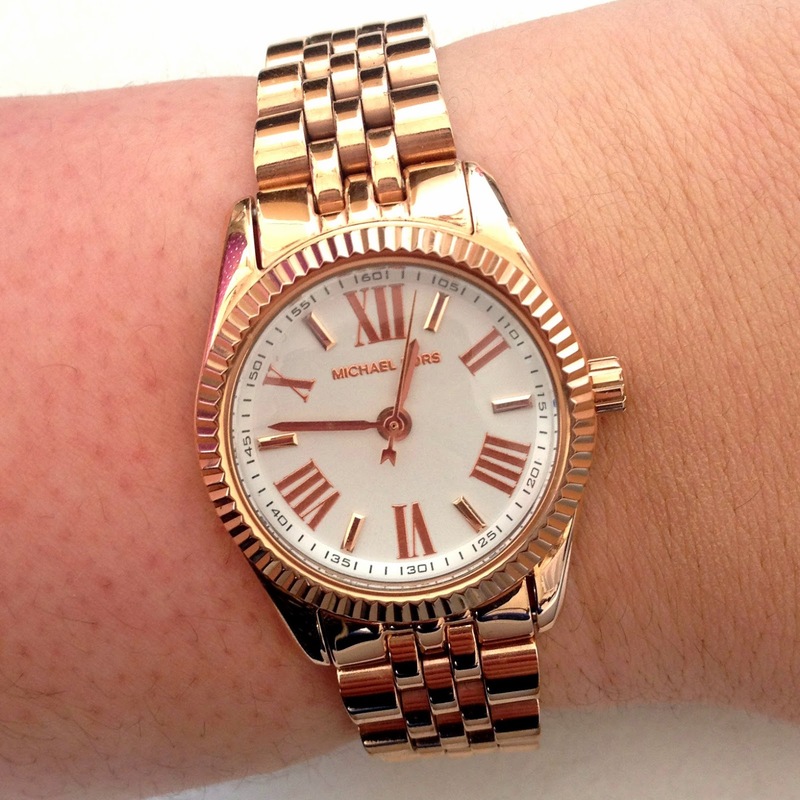 While I loved the Michael Kors watches- I wasn't a fan of the huge watch style. So I was delighted that the Lexington watch is a replica of the larger Michael Kors watches, yet just a little bit smaller to fit my tastes. 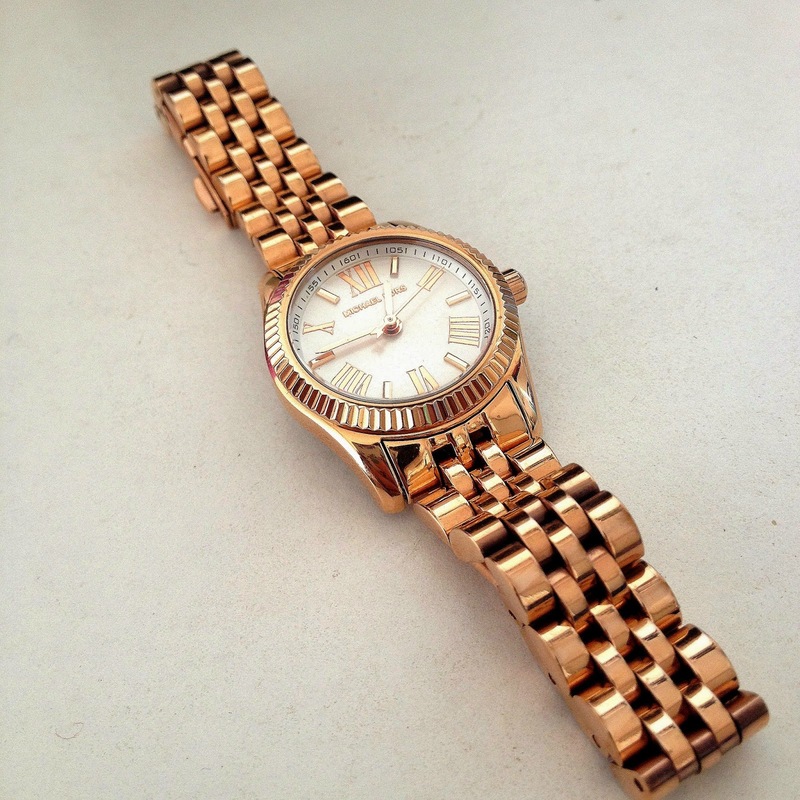 Also the fact that it was smaller meant that it was cheaper from the larger style Michael Kors watches. So for my 18th Birthday I purchased the Mini Lexington for £157 and have been in love with it ever since. 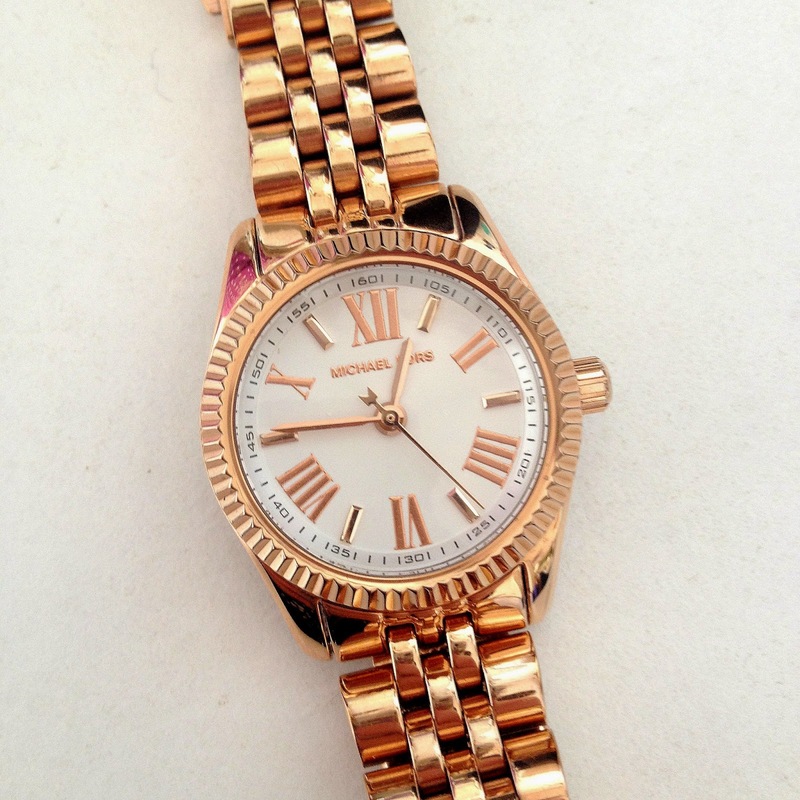 The Lexington is in a beautiful rose gold colour that looks gorgeous with every outfit. I'm a gold girl anyway but the hint of rose gold rather than yellow gold makes the watch slightly more sophisticated and wearable in my opinion. The face itself is a clean white, whilst the hands and numbers are gold, with the small 'Michael Kors' branding at the top of the face. 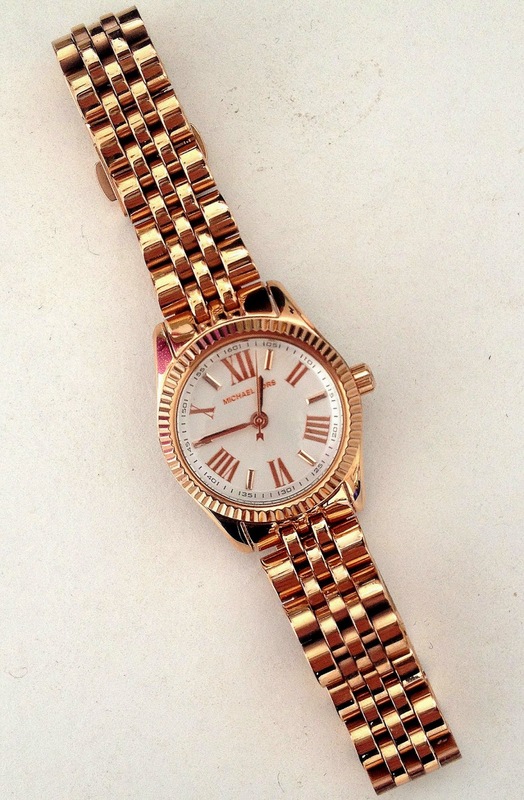 The combination of rose gold and white makes the watch beautifully classic and easy to pair with every outfit. It's simplicity is beautiful, I love how it completes any outfit without being in your face- I can see myself wearing this watch for years to come. It feels so luxurious and I've been getting so many compliments from friends and strangers.This is the most money I've ever spent on an accessory but if you're in the market for a high end watch I couldn't reccomend the Michael Kors Lexington highly enough. I listen to music constantly, when I'm doing work, reading blogs or taking my dog for a walk. I always love finding new music and rediscovering old gems so thought I'd start a series on my blog where I share my most listened to music of the moment. What songs have been on repeat for you recently? 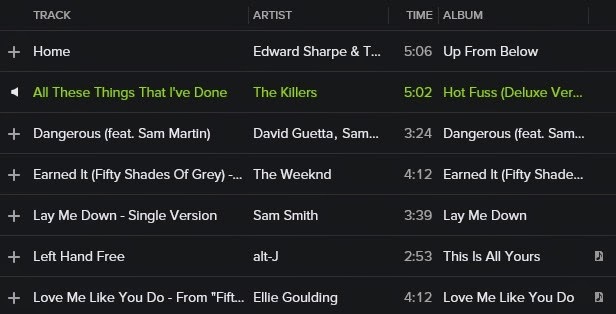 I love finding new songs so if you have any recommendations leave them below and I'll check them out! It has been a while since I've bought any new books- with Christmas and my Birthday I hadn't had the chance to browse in bookshops since February. I picked up three books that I'm really excited to read so thought I'd share them with you. Me Before You is my favourite book of all time so I thought I'd try some other books by JoJo Moyes. The Last Letter from your Lover caught my eye as it's set over two different time periods-1960 and 2003- but the stories from both time periods are very similar. From what I gather from the blurb it's a story about two women who are in love with married men and the descions they have to make, whether to follow their heart or their head. I love books that have two stories that intertwine so I'm really excited to see if this book lives up to my expectations! I'd never heard of this book until I saw a trailer for the film adaptation on TV and became really curious to see what it's about. I'm one of those people that has to read the book before the film so thought I'd give this book a go. 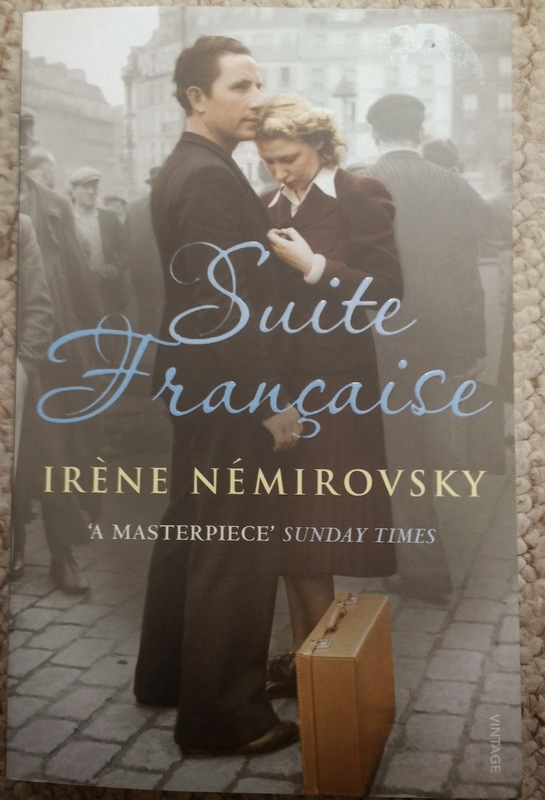 Set during the Second World War it tells the story of Lucille who lives in Nazi occupied France and is waiting for her husband to return from the war. However as German Soldiers come into the village she begins to develop feelings for one of the German officers Bruno. That's all I really know about the book but I love historical fiction so am hoping I'm really going to love this one. This is one of the first Non-Fiction books I have bought in a while. After seeing rave reviews online and lots of interviews with Caitlin, I was excited to pick it up. It's essentially a book about Caitlin growing up and becoming a woman. 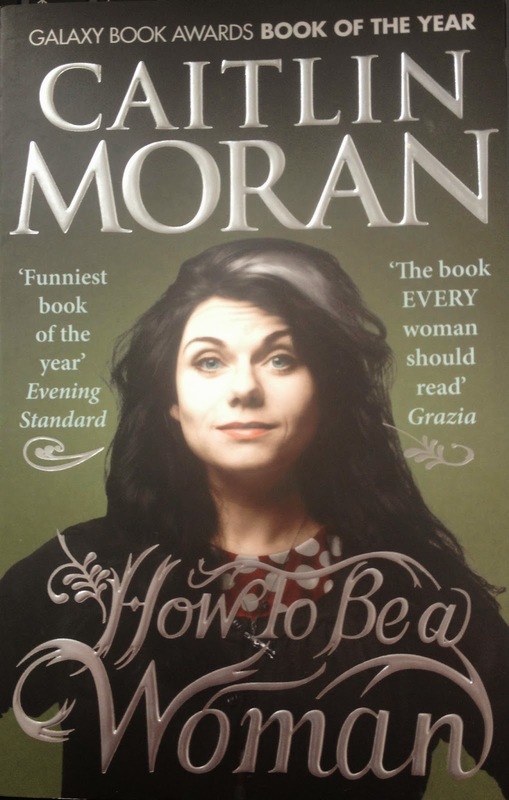 The blurb describes the book as 'part memoir, part rant, Caitlin Moran answers the questions that every modern woman is asking.' After the rise of modern feminism over the past year, I've become more interested in reading about this topic so am excited to read this book. Have you read any of these books, or anything else you would recommend recently? I've always loved the idea of keeping a journal or diary. Having something to look back on in later life and see what you were doing and how much you have changed over the years has always appealed to me. However keeping a diary is something I stuggle to do, I'm sure everyone can relate with keeping a diary for a few days and then slowly losing interest. I think it's hard to keep a diary of day to day life because at the time it seems trivial and dull, you forget how interesting you'll find it in later life. 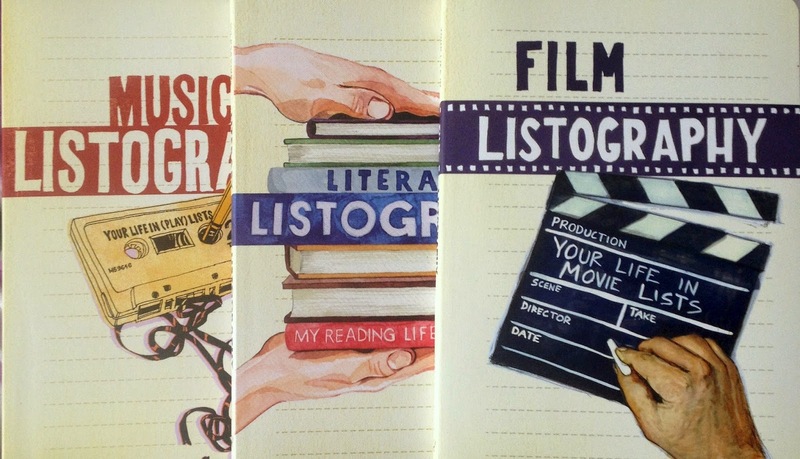 As you can see these Listography books are really fun ways to record what you love and hate about certain subjects. I love that you don't need to fill it all in as soon as you get it, just when you please. I've only just started filling them in but think they'll be a really fun way to look back at things that meant a lot to me over the years! 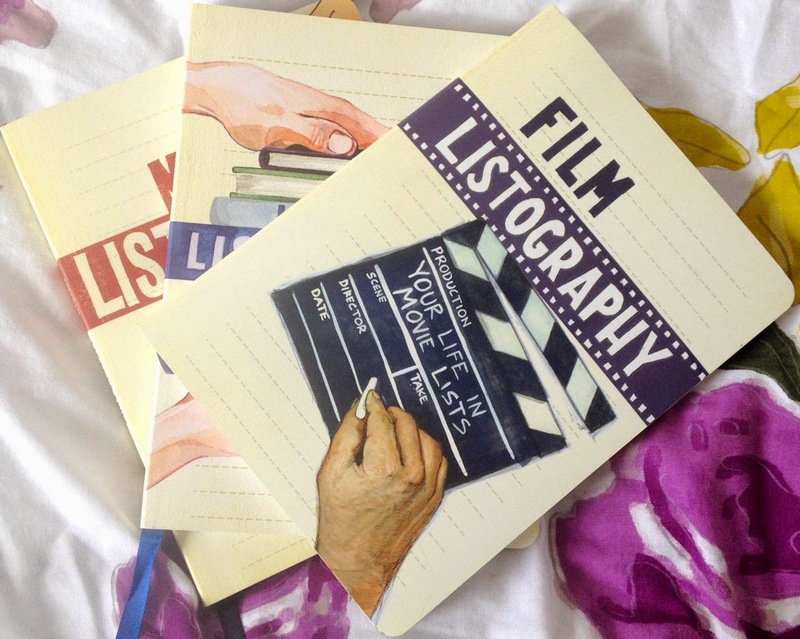 Do you have any listography books? Have you tried keeping a diary before?